B542 The Unofficial LEGO Builder's Guide is a LEGO book released in 2005. 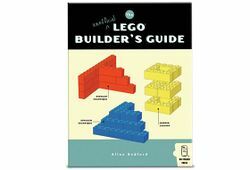 It contained information about LEGO bricks with tips and step-by-step instructions for different models. It also includes 352 LEGO Bricks. Facts about "B542 The Unofficial LEGO Builder's Guide"